These are questions that we are often asked when people make enquiries. If your query is not listed or you need further information please contact us. How long does a dyslexia assessment take? Whilst this varies slightly based on how long individuals take to complete some aspects of testing and how many questions they may wish to ask throughout the assessment, it is likely to take around 3 hours. The assessment process allows us to build up a very detailed picture of the examinee's needs. The assessment includes as a minimum: word reading, reading comprehension, reading speed, single word spelling, writing, underlying ability testing, memory and phonological processing skills. Sometimes the assessor will decide that the information gained from some tests requires additional investigation into a specific area and some additional testing may be required. Where does the assessment take place? The assessment usually takes place in a school, college, university or workplace environment. Sometimes, especially for DSA assessments we are asked to conduct the assessment at the weekend or over the summer period when settings are closed, in this case the assessor will come to your home. What is the difference between screening and diagnostic assessment? Screening does not give you a definite diagnosis of dyslexia, it merely suggests a likelihood that based on a small number of tests there are some indicators that warrant additional investigation. Even where it appears very likely that dyslexia is the cause of a person’s difficulties we are unable to make a definite diagnosis without carrying out a full diagnostic assessment. Immediately after assessment, anything that has been highlighted as a particular strength or difficulty will be shared immediately. Up to a week later you will receive an email which outlines the diagnostic decision or reasons why this may be inconclusive, some points that have led the assessor to reach the decision and up to five initial recommendations that we feel could be immediately supportive to you. The detailed report may take a few weeks to prepare and then if there are any questions you can discuss this with the assessor on the phone, by email, or face to face as appropriate to the individual circumstances. Will a full diagnostic assessment always lead to a diagnosis? Unfortunately we can’t always guarantee this, whilst we try to reach a definite conclusion, there are occasions when we feel that this wouldn’t be appropriate: this can be the case where a profile is very complex perhaps because of additional specific learning difficulties, a medical condition or medication which may mask the profile. However we will always provide a report that outlines areas of strength as well as difficulties and most importantly recommendations to support the learner. What is involved in a screening for Dyslexia? We look at a range of areas including visual and verbal reasoning, reading, spelling, phonological awareness and processing speed. We use standardised tests that could be used for a full diagnostic assessment and we can adapt screening to allow us to gain information on areas that are causing concern in addition to the core areas. How long does screening for visual stress take? What is involved in a screening for visual stress? You will be asked to undergo a series of tasks that assess the extent of your visual disturbances, and your reactions to the tasks will be observed. You will then be asked to choose a coloured overlay from a selection that you feel reduces your visual disturbance. We then like to confirm the impact of the overlay by asking you to complete a timed reading task with and without the coloured overlay to assess the impact on your reading fluency. Are discounts available for long term bookings? We don’t publish any prices on our website as we prefer to speak about individual needs. To provide a few examples we were asked by a school for a large number of assessments and we felt it was appropriate to charge them at a day rate rather than per assessment, to make this more affordable for them, we were asked by a school we visit regularly to offer an additional staff training day and we negotiated a rate that only covered our time as long as they were happy to print out the session resources and provide refreshments. We visit a college on a termly basis and they always pay the full day rate, however sometimes we only attend half a day to carry out an assessment, whereas occasionally they require us for consultancy or staff training so the charges balance out evenly. One school pays us for a fixed number of days per month, but we attend more in some months than others to suit their needs. From the examples you can see why we don’t publish prices, but we ensure that everyone gets a quality service that is consistent and competitively priced. What if the assessment finds the learner not to be dyslexic? This is sometimes the case but as we are very experienced in the assessment process and in our careers working with learners with SEND that extends beyond dyslexia, we can often identify other overlapping areas. Whilst we are unable to make a definite diagnosis of anything other than dyslexia we can still provide detailed recommendations to support the learner’s needs. As SENCo I have been using standardised reading and spelling tests for years to track progress. Can I conduct examination access arrangements? With effect from the 1st September 2015 JCQ Access Arrangements and Reasonable Adjustments regulations have changed, therefore you should refer to the JCQ website and you can download the current information. Where can I get legal advice on an SEND issue? Right here! We have a legally trained SEN consultant who can be commissioned to provide legally based advice service for schools, we can also offer home school liaison services to support parents with the intricacies on the SEND system on behalf of the school and IPSEA is a useful service for parents who wish to seek legally based advice independently of school. Why can you only diagnose dyslexia when you are able to offer advice and consultancy on other SEND aspects? We are bound by a regulatory body which means that we can only diagnose within our remit. In this case our assessors are AMBDA, AMBDA FE/ HE/ Adult qualified and hold current practising certificates which allow us to work within the field of dyslexia. However we have a vast array of experience and we have a wealth of knowledge and expertise that extends beyond dyslexia so we are able to extend our advice, support and training services to include other areas. Can you recommend a computer programme to support learners with literacy difficulties? We would need more information to answer this question properly. We know of a lot of different computer based programmes which offer different things and it depends on the age of the children, the size of the school, how you intend to use it and how often. We are always happy to discuss this type of question on the phone or through email to ensure that we recommend the most appropriate resource for your individual needs. How do you know when to refer a child for assessment? This is largely based on judgement and the persistence and severity of the learner’s needs. We can conduct observations or book scrutiny tasks for you if there are learners you are concerned about and we also offer staff training sessions in signs to look out for. 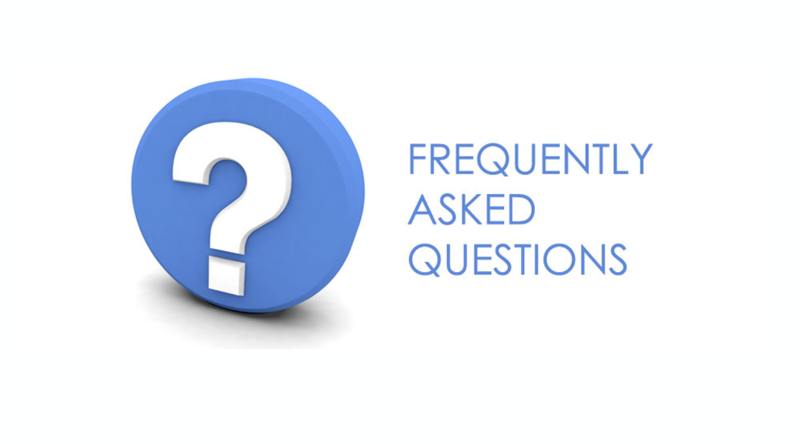 We are also always happy to answer questions over the phone or through email. What age can you diagnose dyslexia? We are qualified to assess learners of all ages. Some learners are able to be identified as young as 7 or 8, although many reach adulthood before they identify that they have any difficulties. We recommend early intervention as far as possible as this allows learners to get the best out of their education with a structured intervention plan tailored to their needs. Do you only work with schools or can we, as parents, commission you privately? We are very happy to work with parents if the school is unable to commission us for the assessment. However, if the parent is in agreement, we will always try and work with the school because sometimes we find that the school hasn’t commissioned an assessment either because they don’t know where to look for an affordable or high quality service or they feel that only Local Authority Assessors can conduct the assessments. Even where parents have decided to commission us privately we will arrange to discuss the findings with the school following the assessment, if they require, and offer to support them in ensuring that the report recommendations are implemented. We want the best for children and will work in the appropriate way to ensure that this happens. Do you offer advice over the telephone? This largely depends on your query, if you had a question about any of our services you can ring our offices where our office manager is usually able to help and can take booking for any of our services over the phone. However if you wanted to speak to a specialist on the phone it is advisable to book a telephone appointment, as we are usually out in settings working with our children, young people and adults.